Natalie was born in Miami, FL. She obtained her real estate license from Gold Coast School of Real Estate. Natalie moved to Cape Coral in the summer of 2008 with her 3 daughters, Natalya, Kassandra, and Alix, with the goal of providing a carefree and relaxed lifestyle for her children. She had visited the Cape several times and felt this was the ideal place for her family. Her mother, grandmother, uncle, and great-grandmother eventually moved from Miami to the Cape to be with Natalie and her daughters. Natalie has gained much experience throughout her career. Working for a timeshare company, she began in a front-line position, and eventually worked her way up to Lead Supervisor. Natalie also worked for a Real Estate Attorney’s office, where she gained hands-on real estate experience. Her favorite aspect of the business was building one-on-one relationships, working to help her clients reach their goals. 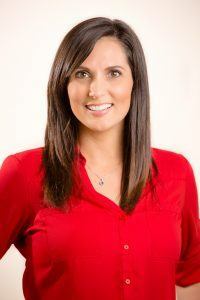 She moved on to enjoy a successful career for several years at Miloff Aubuchon Realty Group as a Realtor with a top real estate team in SW Florida. Furthering her career, Natalie then worked as a National and Major Account Sales Manager for a local Newspaper in SW Florida where she positioned herself as the marketing arm for major businesses in the area, helping them achieve their sales goals. She “came home” to Team Aubuchon where her role as Assistant to Jeff Miloff gives her the opportunity to take on a variety of responsibilities. She is the perfect fit! Team Aubuchon is thrilled to have her be a part of the Aubuchon family once again.